BBC Scotland is on the lookout for Scottish-Canadians descendant from two 1920s emigrant ships for a new documentary series looking at the aftermath of the First World War. Within two weeks in 1923, two ships carried approximately 600 people from the Outer Hebrides of Scotland to their new home in Canada. At the time most Scottish emigrant ships were leaving from Glasgow, however the April 1923 voyages of the SS Marloch and SS Metagama embarked first from Glasgow, then stopped en-route to pick up passengers in Lochboisdale and Stornoway respectively. The Marloch set sail for St John, New Brunswick from Lochboisdale on the 15th of April 1923. On board were at least 50 families from the southern outer islands of the Outer Hebrides, including Barra, Eriskay and North and South Uist. Over 300 men, women and children were on their way to the Clandonald colony in the Red Deer area of Alberta. When the Metagama sailed for from Stornoway on the 23rd of April 1923, the ship contained 300 people mostly from Lewis with an average age of twenty two – all but twenty were young men. They were on their way to Montreal, Quebec. 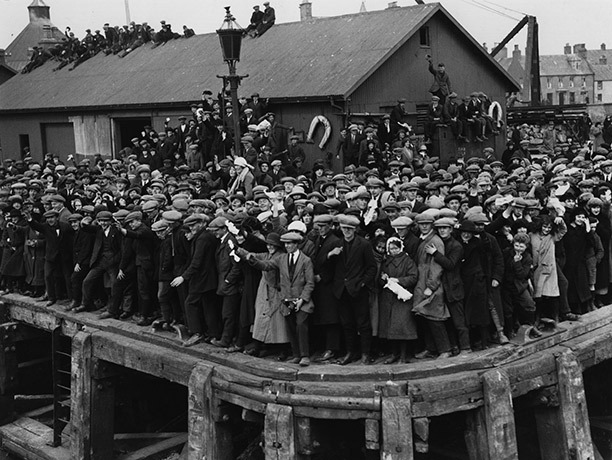 The BBC is keen to hear any personal stories from any Canadians or Americans descendant from those who boarded either ship in Lochboisdale or Stornoway in 1923. Similarly, any stories from people descendant from those who stayed behind in the Scotland will be gratefully received. You can contact researcher Nadine Lee by e-mail nadine.lee02@bbc.co.uk or by phone +44 1224 384 816. Scottish Clan Events Map for 2011 – Updated for North America!